Students, you know by now that paying for college is no picnic (even if your parents chip in). We want to help with that, because once you graduate, we expect big things from go-getters like you. 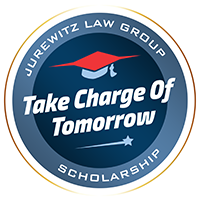 That’s why Jurewitz Law Group is offering a scholarship for both Southern California students and nationwide applicants, each with a $1,000 reward. You want to take charge of tomorrow? Start by applying yourself today. The deadline to apply is May 14th; and we'll be announcing the winner on June 11th. Be honest, write well, and let us know what you're going to accomplish through your higher education. Good luck! See below for details. We strongly believe standing up against the odds makes you a better person, any way you slice it. 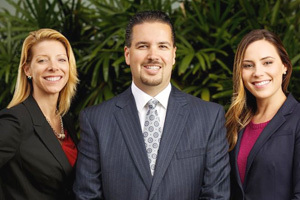 Unlike other attorneys who negotiate to avoid a trial, Jurewitz Law Group embraces the challenge if it means getting justice for our clients, who have already suffered enough. Tell us about a time YOU stood up for what was right, even when other people told you it was “wrong” or thought it wasn't worth the fight. Why did you choose to do it, and how did the experience shape you? Would you do it all over again? Copyright ©2019 Jurewitz Law Group - All Rights Reserved.